For those who don’t wish to follow the links to listen to Don Schmitt, Tom Carey and Adam Dew talk about the Roswell Slides, I thought that I would add a little bit of analysis here. This is my take based on these short clips and what is said in them. First, Don provides little in the way of information about the slides. Instead he speaks about the historical value of them, and if they are what they are reported to be, then his hyperbole isn’t all that far over the top. If these slides show a creature that was born on another planet and who came to Earth, then the slides are of historical importance. He suggests this is the proof for which all of us have been searching, but then the same was said about the MJ-12 documents and the alien autopsy film. Neither has withstood the test of time, though surprisingly there are some that still wish to argue the validity of them. Don is on a little more solid ground simply because all the evidence isn’t in and until the presentation in May, most of us are left to speculate about the slides… still they are simply photographs of the same creature so we actually have just a single example here. Don does suggest that there will be some first-hand testimony offered. This is in the nature of “This is what I saw in 1947,” but that doesn’t help much. With the alien autopsy there were a number of people who claimed to have seen the film prior to its unveiling in the mid-1990s, and we now know that they hadn’t seen anything like it simply because that film was faked. Adam Dew tells us, “I am a graduate of Northwestern University (BSJ '98). If I wasn't on an actual paying job (as opposed to the slide doc project) I’d post the diploma for you [not me but someone who questioned his credentials],” which doesn’t tell us all that much. A great many of us have college degrees and we don’t know what his area of expertise is. He does tell us however, that the slides have been shown to various experts such as Professor Rod Slemmons who had been the director of the Chicago Museum of Contemporary Photography who suggested that to fake the slide holder, that cardboard sleeve they are in, would be difficult to do. Well, that is something but not really all that much. And he showed the slides to Neil deGrasse Tyson who seems less than overwhelmed by the slide. I have two take aways for this. One is that the guy actually talked to Tyson and two, it seems that all sorts of people have seen the slides who have nothing to do with the investigation. Dew also presents footage of an unidentified man, other than to say that he was a lieutenant in Roswell in 1947 and who says that what is on the film looks “identical… if this is a copy, they did pretty good.” Which, again, is of little value until this guy can be vetted… though I suspect that interview was arranged by Tom or Don and they should know if the guy was in Roswell in July 1947. However, Dew dated the slides from 1939 to 1949… and I’ll just point out that the coding on the slide suggested the film was manufactured in 1927, 1947 or 1967. Kodachrome was not available in 1927, so that suggests that Dew’s range of dates is inaccurate… for what that’s worth. Dew said, “Logic tells me it’s probably nothing but I simply can’t shake the thought that maybe, just maybe it’s something.” Not exactly a ringing endorsement. They don’t know who took the pictures, only that they were found as a house was being prepared for an estate sale. The house had been owned by Bernerd and Hilda Ray and was in a collection of slides from the late 1940s and 1950s. They don’t seem to know who took the pictures or when they were taken or how Ray ended up with them and with that, the trail grows cold. Now we have to wait to see if there is more information that will come out at the unveiling in May or if we have most of the pertinent information now. At the moment, this is interesting but not overly promising. If it's some sort of mutated human that was on display as part of a traveling oddities show or some museum, it will be recognized once the slides are revealed. If it isn't, it helps the ET argument. Your second point, however, is 100% invalid. How does a photograph determine if an object is organic or fabricated? Even if it is organic, how does a photograph determine the planet of origin? Kevin, I appreciate your careful (perhaps to a fault) parsing of the Roswell slides. Even so, a few irreverent impressions, because the slides seem destined to have entertainment value only, not scientific value. Hey! I feel that is an unnecessarily personal dig at me! Let me reassure everyone here, last year a time-travelling psychic Sasquatch confirmed that my honourary PhD will be awarded in 2025 -- so show some respect! Yeah, that looked sad, like the slides' steward was flashing Tyson. > it seems that all sorts of people have seen the slides who have nothing to do with the investigation. *Phew* You are too kind! Nearly everything Tom and Don say in those videos is effectively catastrophic -- because photos cannot demonstrate biological origin! Kevin, you need to give your Roswell colleagues lessons in modesty. They need it, bad.
" Adam Dew tells us, “I am a graduate of Northwestern University (BSJ '98). If I wasn't on an actual paying job (as opposed to the slide doc project) I’d post the diploma for you [not me but someone who questioned his credentials],” "
It's gotta be something. If it's as strange looking as has been described and it goes unidentified after release it bolsters the claim that it's not of this planet because if it was of this planet and was on display someone will recognize it. That might seem like circular logic to some but in this case I think it's valid. "That might seem like circular logic to some but in this case I think it's valid." From what I remember of the short look I got, the head wasn't badly degraded. If a real corpse, the death was recent. I just wanted to point out something and ask David Rudiak to explain it. "A modern hoaxer would have to come up with the right film stock that has been very carefully preserved, such as frozen in a dry environment and carefully shielded from background radiation, including cosmic radiation. Cosmic rays are everywhere, relentless, very energetic and very penetrating. They are difficult to shield against. You would have to have the film in something well underground or a thick, lead-lined vault. Failure to do this would result in serious radiation fogging of the film, which would look like overexposure (everything whited out), loss of color balance, and very low contrast to the images. This does not appear to be the case with the slides. "2. The photos are of poor quality (focus, exposure) compared to virtually all the other photos in the same collection. For this reason, edge detection, contrast enhancement and other photoanalysis techniques are warranted and are being used." To my untrained lay eyes, this means that "HOAX" is clearly right back on the table. But who in the world keeps 1947 film stock around in a lead-lined vault for decades, waiting for an old box of Kodachrome slides to show up so they can include them? That would suggest a sophisticated hoax. The trouble is, the image does not exactly scream Roswell. The body is indoors, not outdoors in a desert-type setting. There is nothing in the image that points to Roswell at all. If it's a hoax, its a cheap and poorly executed one. So far I have seen nothing that would require me to even consider the possibility that these slides show an actual ET. There is no clarity on a precise date of exposure of the film ( or even a date range) and even the date of manufacture has not been definitively spelled out. Add to this that I can see no way of clearly demonstrating a biological nature to the alleged corpse and frankly you have to wonder what on earth all the fuss is about. Add to all that the process of putting out information on these slides which is more a drip feed of media friendly snippets than anything serious and, well, 'underwhelmed' is perhaps the politest way to put it. I am very confident that something crashed at Roswell that involved a disc, victims and some unusual material. The most likely scenario in my opinion is an ET craft now more prosaic explanations are ruled out to my satisfaction ( no point in an argument with those who disagree with that here). This is taking shape to be another of those episodes which lead ufology to be a laughing stock with most scientifically trained people. I shall of course listen to any future serious evidence that may be presented, but so far I am deeply saddened by this situation. "From what I remember of the short look I got, the head wasn't badly degraded. If a real corpse, the death was recent." That's good for the ET/Roswell case. You are "deeply saddened by this situation". This because you have decided that the Roswell crash involved a real ET craft and bodies. Then, up comes this presumed bogus evidence that detracts from the 'true Roswell'. This is exactly like those ufologists in the past who fervently believed in the ET nature of UFOs (i.e. Keyhoe and his NICAP gang, or the Lorenzens and their APRO gang) but distanced themselves from the contactee claims of Adamski and others. Such tales only served to pour scorn and ridicule on what they considered a cast-iron case for ETs. If you, or anyone else, is so sure Roswell was an ET event, why are you rejecting the hard evidence that is now being presented to the world? After all, the very people presenting this new evidence are the same ones that helped to convince you of Roswell reality, aren't they? Schmitt, Carey etc. Have these people now gone bananas? Yes, I agree that these slides have no provenance and therefore zero credibility as far as establishing ET reality. So Tom Carey, Don Schmitt, Tony Bragalia and Jaime Maussan are talking twaddle when they say the cadaver is an ET and the discovery will 'change the course of history'. Alas, I fear you will have to endure more 'sad situations' regarding Roswell in the future. There is a simple reason for this: Roswell never was an ET crash. If it had been, this Mexico City presentation, 68 years after the event, would not be taking place. Instead, another presentation, at a genuine scientific conference, probably in 1947 or early '48 would have taken place, and the 'great reveal' of May 2015 would thus be redundant. Never mind: with luck, this coming fiasco in Mexico City will kill Roswell forever, but don't bank on it! @ CDA, Yes, I blogged on how this will be the end of Roswell research. I asked a question for David Rudiak and am waiting to see how he responds. All this time I just assumed that the slides were authentic but just didn't show an alien as claimed. Now it seems that it's very well possible the slides are hoaxed, using unexposed film from the circa 1947 era. In the meantime I've created this makeshift memorial to the reputations and credibility of Tom Carey, Don Schmitt, and Dr. Edgar Mitchell. Jaime Maussan is not included because his reputation and credibility died back in the 90s. However, let us say a short prayer for him as well. Bad focus and exposure are not the same as actual film deterioration from old age. Kodachrome 64 slide film was not a fast film, being used primarily for outdoor shots. (In what we've been shown, you'll notice ALL of the Hilda Blair photos of normal scenes were outdoor shots.) If used indoors, it requires bright lighting or a flash to get good pictures. Without such lighting, it isn't surprising the pictures are blurry and badly exposed. But again, this has nothing to do with the film quality. What we would expect from very old film stock exposed and developed recently would be a lot of fogging (thus low contrast), graininess, splotchiness, and color imbalance. The little I've seen of the slides from a high resolution scan is the placard with handwriting in the image, which appears to be of high contrast, badly out of focus, yes, but not deteriorated. Also, to my untrained eye, it appears to have normal graininess, not the clumping of film grains that old film gets from prolonged background radiation damage. Again, for the record, I have NEVER seen the actual slides nor high quality reproductions of them. I was briefly allowed a look at one of them printed out on plain paper, not enough time to carefully study it nor of sufficient image quality to comment about original image quality. However, I will email Larry XXXXX and see if he remembers the image quality of the originals. Now if there is obvious film deterioration consistent with old film stock recently developed, then, yes, this probably points in the direction of modern exposure and a hoax. I've never said otherwise.
" (Why do most of the skeptics not use their real names?)" In my case I am not a skeptic. David Rudiak's explanation of Kodachrome 64's vagaries (pre camera electronics) is spot on. When I began taking photos with 35mm film, portable cameras were totally manual, no autofocus, no autoexposure (f-stop), and no autoshutter speed. A decent photo was a crapshoot without a flash. The slides show nothing more than the remains of a child that suffered from hydrocephalus. Wake up. > Why do most of the skeptics not use their real names? In my case, to mock the "disinfo agent" paranoia of diehard believers. "The slides show nothing more than the remains of a child that suffered from hydrocephalus. Wake up." Possibly, but without careful study and examination of the actual photos by real forensic and medical experts (which if due diligence was done, has already happened), this remains pure conjecture on anybody's part. From my brief view of a poor-quality printout, my feeling was that the head was possibly human, so you might be right, but I am far from certain. As for the comments that it was the Ray's deformed child they wanted hidden, they would have been very middle-aged when such a child was born. Hilda Ray was born 1897, so if the photos date to ~1947, she would have been 40+, not impossible, but less likely. More tellingly, what parents would want photos of their dead, dissected, gutted, and decapitated child? Sounds like a real stretch to me. Let's use a little common sense here. Hi looked at several images of children with hydrocephalus. David: "Bad focus and exposure are not the same as actual film deterioration from old age. Kodachrome 64 slide film was not a fast film..."
The film shouldn't be referred to as "64" as it couldn't be if it were shot in the desired timeframe. The Kodachrome of the desired timeframe was daylight asa 10 and tungsten (indoors) asa 16. This means for these indoor shots very bright artificial lighing was necessary in order to get a good exposure. But with just normal lightening, even normally bright lighting, the lens aperture would have to be set wide and the shutter speed set slow in order to capture as much light as possible, but with the consequence of everything off the plane of focus to be soft, and the depth of focus to be shallow (if the focus was on the exhibit, then the card in front of it would be blurry being in front of the plane of focus in the shallow depth of field). I'd think a tripod other support would be needed, and obviously a 35mm camera with the necessary adjustments. First I should say that I don’t recall ever having seen a photograph with known “fogging” due to a prolonged length of time between when it was manufactured and when it was developed or “fixed”. For that reason, I can’t comment one way or another whether Hilda Ray’s 2 cadaver slides contain such “fogging” artifacts. However I’ve seen quite a few photos in which the focus was not very good, the camera was not held very still, and the exposure speed was not very well matched to the ambient lighting. I’ve seen a lot of examples of this because that’s how many of my photos turned out back when I used to try to use a film camera. I didn’t see anything in Hilda’s photos of the cadavers that couldn’t be explained by those three factors. The quality difference between the two cadaver slides and the rest of Hilda’s photos is striking. It is clear to me that Hilda knew how to use a camera very well, when she could control the view angle, composition, focus, lighting, and exposure. My simple minded conjecture is that the two cadaver photos are not up to her normal standards because she was not able to control those variables. Over the years, I’ve worked in several different radiation laboratories in which the standard dosimeter was a film badge—essentially an unexposed piece of photographic film. Once a month someone would come around and collect them, develop them, and measure the amount of fogging on them. The fact that they could measure one month’s worth of background radiation tells me that it should be possible to measure several years’ worth of fogging—provided someone can get access to the originals. I believe that the tool required would be a micro-densitometer. My hope is that after the slides are officially revealed, this kind of research will occur. It should be definitive as to whether the slides were developed in the 1947 time frame or not. "3. If the slides were (as has been reported in some internet forums) hidden, and separate from the other slides (behind the inner lining of the box/chest, as has been variously “reported”), there is a (remote) chance that the slides were hidden from view from the Ray's themselves, and, somehow the box/chest became the property of the Rays after the fact. If that’s the case, the Rays may not have ever actually seen the slides themselves." Considering box/chests are used to store practically anything and everything, it would be a real coincidence if a previous owner hid 1940's era kodachrome slides in the chest...and when the Rays obtained the chest they decided, unwittingly, that they would use it to store their collection of 1940's era kodachrome slides too. Not letters, not photographs, not trinkets...but 1940's era kodachrome slides? Bit of a long shot if you ask me. "The quality difference between the two cadaver slides and the rest of Hilda’s photos is striking. It is clear to me that Hilda knew how to use a camera very well, when she could control the view angle, composition, focus, lighting, and exposure. My simple minded conjecture is that the two cadaver photos are not up to her normal standards because she was not able to control those variables." Speculation of course, but I can imagine a scenario that somehow Hilda Ray was given permission to look at the cadaver by someone who didn't realise she had a camera on her...and she hurriedly took a cheeky snap shot when no one was about. "The quality difference between the two cadaver slides and the rest of Hilda’s photos is striking." By "the rest of the photos" do you mean the other exposures on the roll? Surely someone with access to the slides has reconstructed the roll? That would have been the first thing I'd have done. The issues about when and where the photos were taken might be obvious from the context of the roll. It is one of the curiosities of ufology that "the rest of the roll" is rarely (ever?) obtained. How would you determine what the other exposures on the roll would be? This would be completely impossible if the slides were not those of the Rays but came from a third party. "How would you determine what the other exposures on the roll would be? This would be completely impossible if the slides were not those of the Rays but came from a third party." If it is impossible, then it is evidence they aren't from any known roll taken by the Rays. By way of preface, I have not followed this story. In fact, I haven't looked at a ufo blog for a year until now (I remembered something was supposed to be revealed on 1/25/15). So, I don't know much about the details. I understand that the Rays kept their slides in a trunk. Commonly people keep the rolls of their slides together. I think Kodachromes always came in a cardboard box, one roll per box and that is how people kept them (unless they have them permanently loaded in a carousel, which was not the case with the Rays). Another issue is if the slide frames are stamped with a sequence number. If they are, it provides a way to organize them. If there are no sequence numbers or if the slides weren't kept in boxes by rolls, then we can determine that photos taken on a vacation in the tropics are from a different roll than one with photos of a birthday party in a northern winter. Photos of the same place, same people, and the same season etc are likely from the same roll. I think Kodachrome rolls back then for 35mm were 20 exposures. We can expect around 20 per box. Sometimes one gets an extra shot or two and sometimes people throw away bad shots. So, there is some variation. They can be organized with some degree of accuracy as rolls and sequences within rolls. So, if there are, for example 20 rolls worth of Kodachromes in the chest and if they are more or less complete, them we can guess the slides are not from any roll in the chest. If a number of rolls are incomplete we can guess the slides are not from a roll with commonplace stuff on it: birthday parties, holidays, social events, but maybe from rolls with vacation photos or professional activities. We might learn something if they fit into a roll taken while touring movie studios in Hollywood and learn something else if they fit into a roll with gatherings of military and political figures. If the roll can be identified then we can observe the signs of the times: clothing and cars can be dated. A slide showing the license plate on a car can very useful. 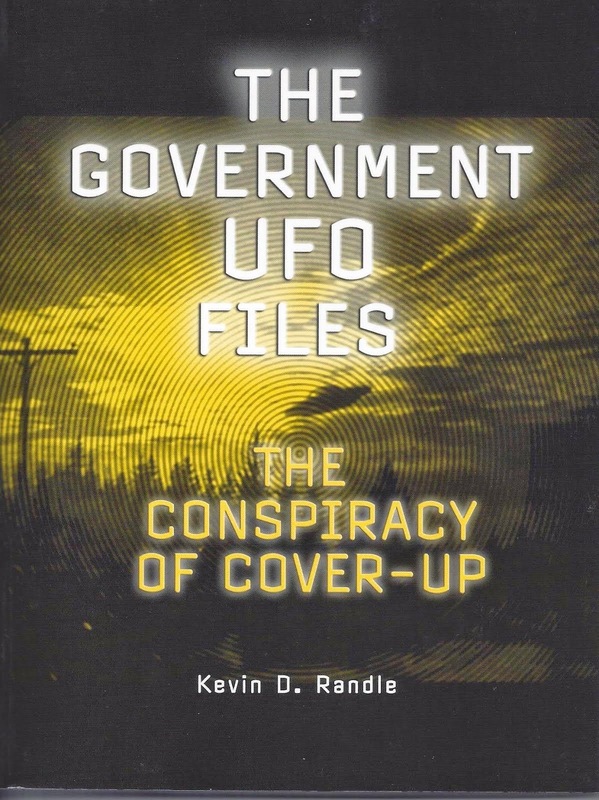 cda said: There is a simple reason for this: Roswell never was an ET crash." cda a simple question...What was it? The above Google-translated link goes to a German website, "AllMystery," and a discussion board forum topic page there about "The UFO Crash at Roswell," and if you scroll about 2/3rds of the way down, you'll see a couple different versions of the "entity" from one of the two Roswell slides. The above link goes to a blown-up "frame capture" of a part of the "Kodachrome" trailer where an older man is seen peering through a photographer's magnifying lens to closely examine a slide on a light table. This frame was then subsequently blown-up again, or at least the slide portion of this image, and then the slide section of the larger photo was again enhanced (blown-up and apparently adjusted proportionally) to produce the images shown on the German discussion board page concerned. While the parts of "Kodachrome" which show computer monitors with the slide images displayed were "blur masked" to obscure the details of the slides, it appears (ahem...) that the part of the trailer showing the exam of the slide concerned on the light table was not blurred, thus allowing someone to do a frame capture from the video and then to use photo enhancement and editing software to select out the portion of the light-table image showing the slide and blow it up even further and then adjust the proportions (due to the angle of the slide seen in the trailer, which was horizontally stretched -- this was corrected for in the close-up shots of the entity now beginning to spread across the 'net). The "older man" looking through the magnifying lens is shown at 2:13+ minutes into the "Kodachrome" trailer. He is Prof. Rod Slemmons, retired director of the Chicago Museum of Contemporary Photography, and who formerly worked at Kodak in the 1950's. The pseudonymous person who did the enhancement posted on the "AllMystery" German site is ""Narrenschiffer" or "Ship of Fools" (poorly Google-translated as "Fools Schiffer"). Another participant on the German site, "Kasbrot," first noted "The[y] forgot to censor the trailer frame 1 http://i.imgur.com/xc9Zf2C.jpg" which ""Narrenschiffer" then checked out and did the slide enhancement from, apparently. Seems "Kasbrot" may be the person who posted the light table image on imgur.com initially, although that's not entirely clear. Then, "Zetanus" flipped the picture to the correct horizontal orientation... and decided to send it off to the UFO Conjecture(s) blog, where it is also now posted. It would seem "Zetanus" is a.k.a. "Michael Mu" and/or "Michael Etherian." In my reply to Anthony Mugan I said what the Roswell object was not. I did not claim to know, with certainty, what it was. The purpose of this blog is to debate the history of the slides and the slides themselves. My position on them is they do NOT depict ETs. This is because I hold strongly to the belief that if they did depict ETs (from Roswell or anywhere else at that time) we the public would have known about it many decades ago, i.e. within a few weeks or months of its occurrence. It would be a matter of worldwide scientific importance and wouldn't be part of some giant military cover-up by just one country. Thus we would not be having this preposterous presentation in Mexico City to 'reveal' the great news 68 years later, would we? It would be wholly redundant. Ergo, I say, with complete confidence, that the original Roswell affair (whatever it really was) was NOT an ET crash. You are of course free to disagree. If you do, you come under the category of a conspiracist. Steve Sawyer, thank you so much for that! Now that we know that the image shown at the German site is indeed one of the actual slides then maybe it's release can get this whole dog and pony show shut down. It's clear to me at least that the being in the slide is likely a deformed human child. It may even be a dummy as the hands look odd to me. However, the bigger question is how do we proceed on Roswell research when two of the biggest names in Roswell research have now been discredited? I would really like to see Kevin and some others publicly reject Tom Carey and Don Schmitt and make it clear that they are no longer credible. That's really the only way to save Roswell research at this point. Having looked at the cleaned up image produced by the Germans over at the UFO Conjectures site, it looks to me like a hydrocephalic child is a pretty good fit. A blogger there says it is a display from a museum in Colombia. I agree. It looks like a hydrocephalic child, possibly even mummified. Yet amazingly the slide promoters assured us that it was neither! This is a very sad day for Ufology, specifically Roswell research. Yes, possibly an Andean mummy. BINGO! I think you nailed it exactly! It supposedly was taken at a museum in Colombia so that would make perfect sense. I thought you had previous seen the slides Larry; I recall you wrote up your impressions at the time. I'd think if the bodies in the slides were from Columbia that I'd have a few additional pics from a trip like that. Of the 400 or so, I don't think there are any from South America. It seems unlikely that they'd have taken only two photos on a trip to Columbia. It also seems unlikely that the Rays would have found it necessary to separate out a museum/oddity picture from the rest of their collection. It also seems unlikely that they would take multiple pics of a body like this if it was something innocuous. Of the 400 slides, the only other "multiple" of any single shot is the Eisenhower train shot. Even with Ben Hogan, the greatest golfer of all time, they only took one picture... and it's blurry. To me it's the smaller details in the body images that are most interesting. This is like making a final assessment off of a thumbnail. Again, for what its worth. It's over. Nobody's buying this b.s. anymore. Time to pull out while you can. If I were you I would literally just shelve the documentary and cancel the whole thing. You might pass that on to the "owners". You don't know they slides were kept separate, that is something you take on faith alone. Why is JB staying in the shadows, using people like yourself, Carey and Schmitt to sell this story to the public? Why are you hassling geriatrics like EB to lend credibility to this utter rubbish? I would suggest ticket sales for this circus will suffer greatly from the careless failure to apply the blur mask to every frame necessary. I empathize with your concerns. What I interpret to be your disappointment with the perpetual shortage of quality research, not just in the instance of the slides, but within the UFO community at large, is understandable. 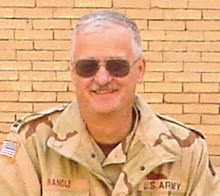 That stated, please allow me to express my thoughts that the lion's share of the responsibility of cleaning it up does not rest on the shoulders of Kevin Randle. It's not primarily up to the writers or conference organizers, either, although they of course play influential roles in the quality – or lack thereof – of the finished production. I'd say that the consumer is an important factor. Stop buying, and they'll stop selling. Equally important is that the collective UFO community chronically fails to judge research on its merit as compared to its often unfounded conclusions. The consumer has a responsibility to learn about such issues as objectivity and healthy skepticism. We have responsibilities to become informed as to proper research protocols and how reasonable people present their work. It is our responsibility to learn how to separate beliefs from established facts, and recognize when researchers are failing to do so – as well as recognize when they are successful at it. That's why the contributions of people like Lance and cda to the discussions around the blogs are so important. Whether we always agree with them is not the important issue. What's important is that such individuals pose reasonable questions that require explanations prior to accepting otherwise unfounded claims as facts. That's the bottom line, in my opinion, and as long as an audience remains that prefers sensationalism to quality of content, it is minimal what KR or anyone else can do about the suppliers. Thanks for the career advice Ross! You might be right. My Google rap sheet was pretty clean until a few days ago. Tom and Don were very skeptical of the slides (out of fear of another hoax) for more than a year. I pursued them. It wasn't until I finally had them vetted by film experts that they were willing to connect me with the witness to offer an opinion. Tom and Don were not with me the first time the witness looked at the slides. He's now seen them a second time with Tom and Don present and he had the same reaction to them. I've shown the slides to several people with varying scientific backgrounds. I have one of the most prominent anthropologists in the US on film looking at the slides. He hasn't decided if he's willing to go on the record publicly yet. But if I can get Ross to agree not to bother him, I might get lucky. Almost universally, when anyone with a science background sees the slides they say something along the lines of "that's a fake." I think that's an interesting response when we know they are not fakes. Even NDT had that response. I'd assume if it's obviously human, then that would be their first take. As far as I know there are no anthropologists in this country who think they've seen what many Roswell witnesses say they saw in 1947. There is no frame of reference. There is no text book. This creates an obvious dilemma when the people who say they saw bodies near Roswell also say they were humanoid in most respects. So I then decided to try to find some people who had personal encounters with the supposed Roswell bodies and see what they think of the slides. Some of you might be willing to flatly discount the personal experiences of someone like the man in our doc trailer, but I don't. I'm not going to call him a liar. He's never tried to capitalize on what he says he saw. So it's the witness's word against everyone else's at this stage I suppose. I'm not sure what else I need to do prove that they were not staged or faked. I thought having them vetted by the worlds foremost Kodachrome historian would have been sufficient but I guess I was mistaken. The professor featured in the trailer is a prominent photo historian, but not the Kodachrome expert who analyzed the slides. Another note about the dating. Our expert noted that there is a protective lacquer on the slides that can been seen when held up to the light. I've since found out that lacquer was discontinued in the early 1960s in the development of Kodachrome. The slides show almost the exact same image, same angle, just slightly different color temperature and focus. We've had David Rudiak and experts from Adobe try to decipher the placard with little luck. I wish we could move past the "dating" discussions, but I hear some people think I found some old unused Kodachrome, staged the photos, had them developed before 2010 (the last year Kodachrome was ever developed), added the protective lacquer, and have been sitting on the slides ever since. Would Hilda and/or Bernerd take multiple photos of a mummy/preserved body with hydrocephalus? Even the anthropologists who've seen the slides don't offer a definitive opinion, but you guys seem pretty certain. I've spent nearly three years trying to find what's in the images but I've had no luck. Please send all pictures of hydrocephalus mummies on display in the 1940s to SlideBoxMedia@gmail.com. "That's why the contributions of people like Lance and cda to the discussions around the blogs are so important." You have got to be kidding Jack! I don't know this for a fact but I'm, guessing neither of those two have ever been to Roswell or interviewed any of the witnesses to the 1947 event. I would suggest that the owners of the slides are lying to you. I would think that there would indeed be many other slides that have been purposefully withheld from you because they would help identify the being. There is absolutely nothing to suggest this is an alien being. There is absolutely nothing to suggest this has anything to do with Roswell. I would strongly advise you to quit and pull out ahead of this train wreck. You know it's coming. My interest is in the technical aspects of the film itself. Am I correct in assuming that the "protective lacquer" was applied to the emulsion side, after processing? Would this coating also be applied by non-Kodak processors as well? I'm losing track of the thread here. I hope this stuff is presented in it's entirety soon. I'll repeat, from a technical viewpoint, it's highly unlikely that the _slides_ were faked. Again ignoring the subject matter, what would be the point of going to a lot of trouble to fake slides when anyone with two or more brain cells connected together knows that slide dating _proves_ nothing. It's just a piece of evidence. Even it they were dated, unequivocally, from, say 1957, that doesn't discount a 'Roswell connection'. Think about it. It's a fools errand to put too fine a point on things with low probabilities of being proven. There is absolutely nothing to suggest this a human being either at present, according to the experts who have seen them. So if its not a human or an alien being then i guess the USAF and skeptics was right and its a dropped dummy.
" I thought you had previous seen the slides Larry; I recall you wrote up your impressions at the time." Correct on both counts. Nearly a year ago I saw what I would consider low resolution computer screen images of the slides for a period of about 10 to 15 minutes. From memory, I wrote up a brief description which included: small stature, bipedal humanoid layout with somewhat abnormal proportions (large head compared to torso), and ribs visible through the skin--all of which appear to be correct observations, based on the Germans' cleaned up image. To my eye, the images I saw at that time were of poor enough quality that I could not see other features that others were claiming to be present. For example, I could not tell if the body was lying on a glass shelf or within a glass box. I could not see the blanket that some said was covering the genital area. So I did not publicly speculate about features beyond what I personally was capable of remembering. I never claimed that the images were aliens or, for that matter, related to Roswell. I specifically pointed out that any connection to Roswell was purely circumstantial; they appeared to have been taken in the 1947 time frame by individuals who lived in the general area. At the same time, I had no evidentiary basis for concluding that they weren"t related to Roswell. In the absence of evidence, I refrained from commenting on that one way or another. I always carried along the possibility that the body would turn out to be the result of some known human pathology. That's why I took steps to get some qualified medical experts to look at them. Like me, the one MD who I know looked at them found them too indistinct to make a judgment. It wasn't until I saw the cleaned up images earlier today that I could see enough detail to form an opinion. "There is absolutely nothing to suggest this a human being either at present, according to the experts who have seen them. So if its not a human or an alien being then i guess the USAF and skeptics was right and its a dropped dummy." No "expert" worth their salt would ever come to that conclusion based only on a picture. They would need to see the actual specimen in order to rule out it being human. It seems somewhat remiss that in being invited to view the material you were only give access to poor quality digital copies; seemingly lower quality than has been unintentionally leaked in the last few days. Thanks for the reply. I just wanted to understand where you stood on the Roswell event (and yes, this is a blog about the slides but the proponents include Roswell so it is a legitimate part of the discussion). From what you write you exclude the ET hypothesis concerning Roswell but have no opinion on what the event really involved. You say that if I believe that Roswell was an ET event than I am a conspiracist. Since I believe that it was an ET event I guess in your view I am a conspiracist. So perhaps I am (in your view) but I'm also a huge skeptic of many of the UFO tales and events that I find beyond the pale. You don't state that you embrace the Air Force official story about the Roswell event being a Project Mogul crash. If you don't embrace that official Air Force story doesn't that make you also a conspiracist, or at least a quasi conspiracist? cda, please understand that my post is in no way meant to be an attack on your or your beliefs. Your writings indicate that you are a very intelligent person. However when you write "Keyhoe and his NICAP gang" and so forth it sends up a red flag. I think using "gang" rather than "group"seems to indicate an agenda, or giving you the benefit of the doubt, just a poor choice of words.. I hope we are all at least on the same page, that is trying to find the truth. "The purpose of this blog is to debate the history of the slides and the slides themselves". How many times do I need to remind you - this is not a debate, it is an "investigation"! Your example shows a child of normal proportions, not a head about as large as its trunk. This does have a giant head in proportion to the rest of the body (but a much smaller body than the slides body, more like that of very young child). As I vaguely remember, the paper printout of the slide I was allowed to view for maybe a minute 2-1/2 years ago, it was not a skeletal head or mummified head, but one of something that had recently died, or something that was quickly preserved by embalming, i.e. I remember a filled in face with smooth skin. But it was only a short look and not the best reproduction. I also seem to remember it was more of a profile view than the slide now circulating on the Internet, which shows more of the face. That said, the slide now available, shows a woman in what appears to be a dress, standing at the foot of the whatever, though possibly a nurse in a dress. It does strike me more like an exhibit on display in a museum somewhere rather than a hospital setting. If so, someone is eventually going to recognize exactly where this exhibit is. On UFO conjectures, an anonymous poster said it was a small museum in Columbia, but so far has offered no evidence to support this. Or it could be, they are genuine old slides circa 1947 of a museum oddity, and not a deliberate attempt at a hoax. The evidence presented so far points to them being old, NOT modern photos using what would necessarily be degraded decades-old film stock. In that case, we should be seeing fogging, graininess, blotchiness, low contrast images. I previously noted the hi-res scan of the placard I saw (seen in the circulating slide at the feet or the whatever), was badly out of focus, but still showed high-contrast letters on a white background, no apparent fogging, and lacks the graininess of old film only recently developed. So if this is 1947 film stock, these are pictures taken way back when and developed soon after, not in the present. And we can only speculate for now how they ended up in the Ray slide collection apart of the other slides, or whether the Rays were ever directly involved at all. I'm still taking a wait and see approach until more information comes out. Well put David R, I will take the wait and see outlook as well. Anyone who believes Roswell was an ET event is a conspiracist, by definition. This is because the popular story is that the USAF recovered the debris and bodies, took them away, and have never, to this day, admitted that the debris and bodies were ET. Therefore they, and other authorities, are guilty of a vast cover-up. Therefore there is an official conspiracy to withhold the truth. At least, so say the ET proponents. That, in essence, is the conspiracists' view. There is no escape; you either are a Roswell skeptic or you are an ET believer. And if the latter you are forced into being a conspiracist, however much you may wish otherwise. 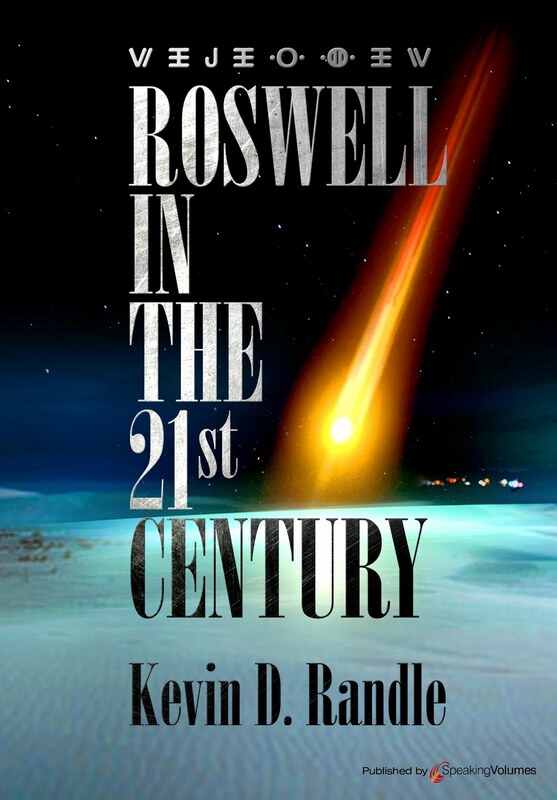 Kevin falls into this category, as does every Roswell ET believer, plus all those involved in this shambles of a so-called 'presentation' in Mexico City. And what will be its value to science and mankind? A big fat zero. Exactly as with the alien autopsy film in 1995. For those of you spending all your time attacking the research from behind your keyboard and have failed miserably in doing so. Why are you not provided anything of your own. Perhaps you could do something productive and contribute your own research. Nit picking and whining about the Roswell researchers while you sit at home probably in your mom's basement and expect people to take you seriously has obviously not worked. Try something different and perhaps you won't be ignored as much. Question for Ross: Do you have a day job? Have you contributed anything of value to the field of UFO study? Your attempts to distract and pollute the waters have obviously not been a success.